Emory medical students Kevin Hochstrasser and Eric Bethea interview Dr. Modele Ogunniyi, Associate Professor of Medicine and Assistant Medical Director of the Grady Heart Failure Program. They discuss the how to diagnose hypertension, ways to measure your blood pressure, and risk factors for high blood pressure. Emory medical student Rebecca Steinberg interviews Cindy Bowden, Executive Director of the Clarkston Community Center, about the 2nd Annual Clarkston Community Center Health Fair. They discuss information about the fair, what it includes, and why you and your family should consider attending. Where: Clarkston Community Center, 3701 College Ave. in Clarkston, GA When: Sunday, May 20, 10am - 3:30pm There will be 24 health vendors at the fair, and 3 food vendors. Emory medical student Julia Xia interviews Dr. Joseph Vinson about the importance of mental health, identifying common conditions, and resources for listeners interested in speaking with a mental health professional. In case of a mental health emergency, the Georgia Crisis and Access Line (1-800-715-4225) is available 24/7. To make an appointment with the mental health clinic at the Clarkston Community Health Center, ask the check-in desk at the Clarkston primary care clinic on Sunday, from 9am-2pm. The Harvey Health Podcast is a collaborative health education project between Sagal Radio, the Clarkston Community Health Center, and Harvey Society at Emory University School of Medicine. This podcast hopes to provide reliable health information to the community of Clarkston, to educate community members about their health, and to empower them to make positive health choices. 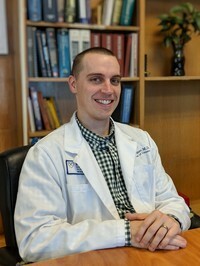 Emory medical students Brent Gawey and Alex Milani interview Dr. Colin Swenson about the importance of quitting smoking and how it affects various systems in the body. Smoking has long-term and daily impacts on an individual's quality of life, beyond the important message about lung cancer. Listen to our interview to learn more! The Harvey Health Podcst is a collaborative health education project between Sagal Radio, the Clarkston Community Health Center, and Harvey Society at Emory University School of Medicine. This podcast hopes to provide reliable health information to the community of Clarkston, to educate community members about their health, and to empower them to make positive health choices. Emory medical students Rebecca Steinberg and Eric Bethea interview Dr. Lisa Bernstein about the purpose, importance, and frequency of the Physical Exam with a primary doctor. They discuss what a patient might expect, what they should bring in to a visit to their doctor, and current research on how often you should check in with your physician. The Harvey Health Podcst is a collaborative health education project between Sagal Radio, the Clarkston Community Health Center, and Harvey Society at Emory University School of Medicine. This podcast hopes to provide reliable health information to the community of Clarkston, to educate community members about their health, and to empower them to make positive health choices.